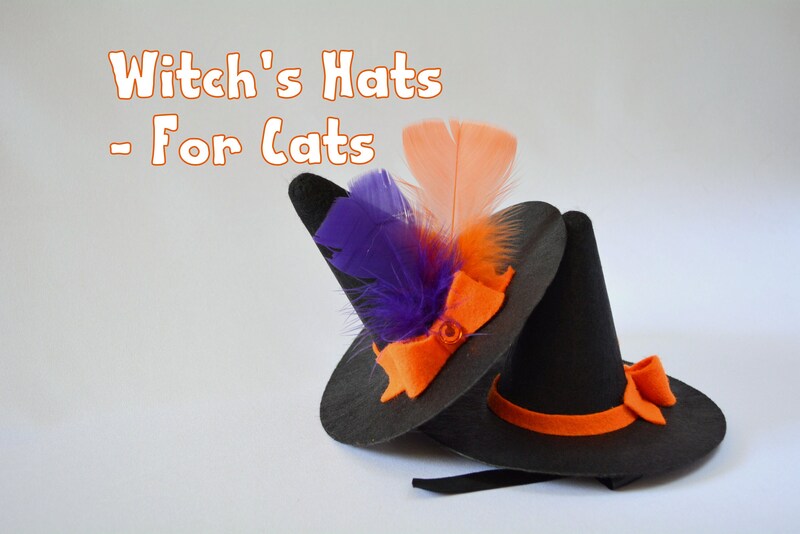 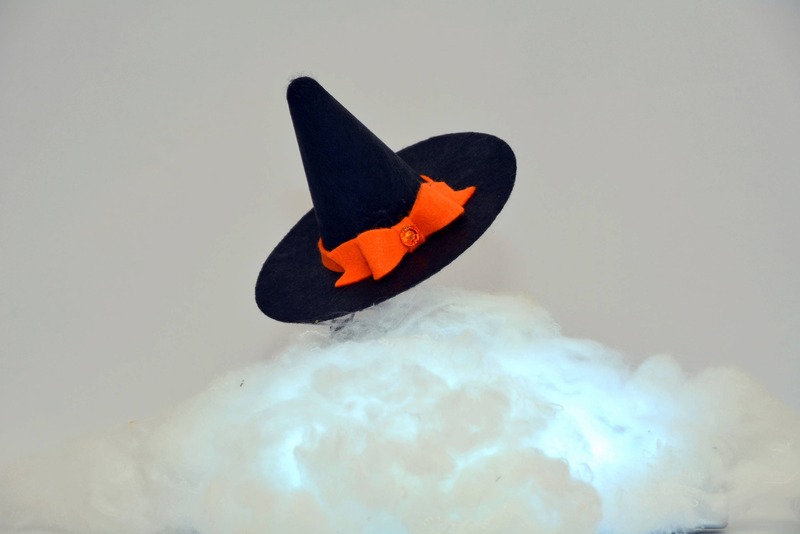 Witch's hat for a cat (made from felt) decorated with a pretty orange felt bow with an orange rhinestone with orange felt ribbon around the hat. 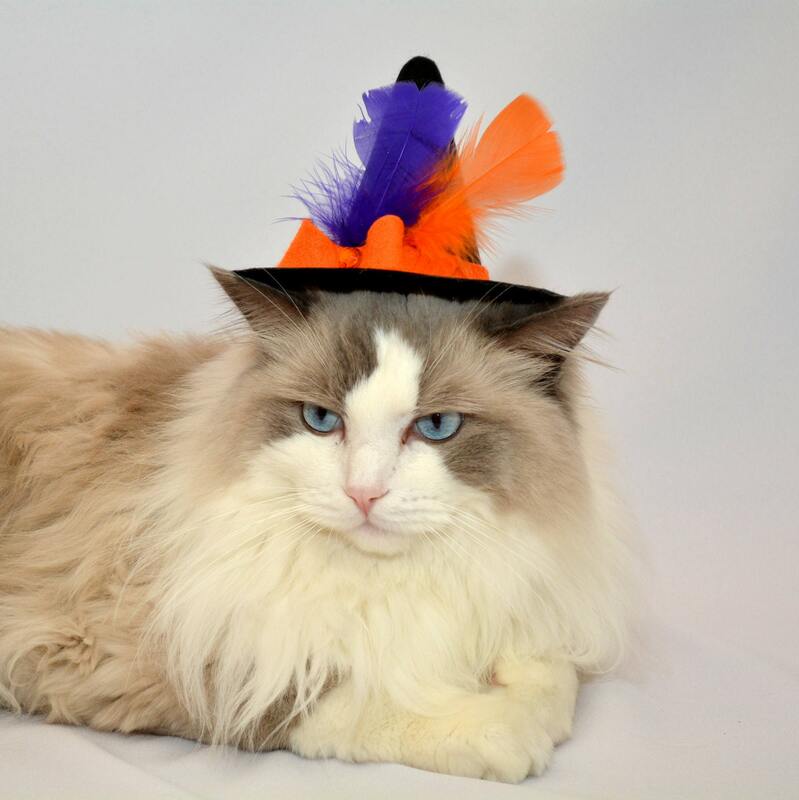 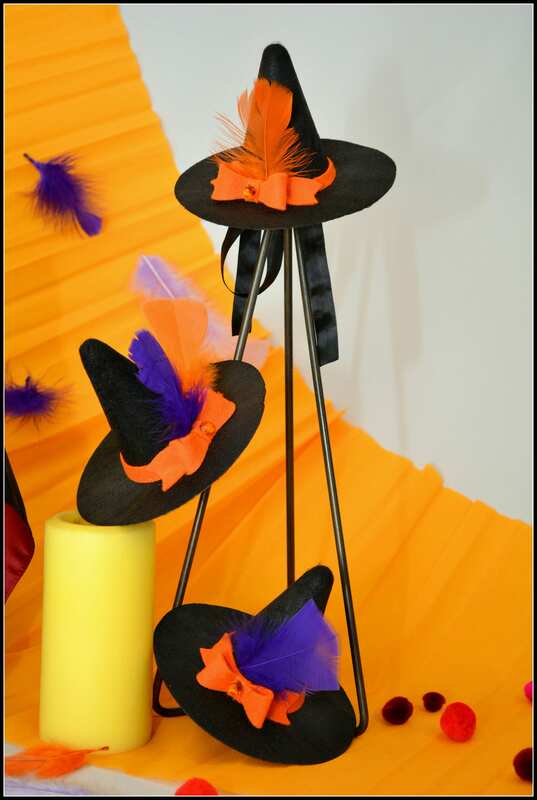 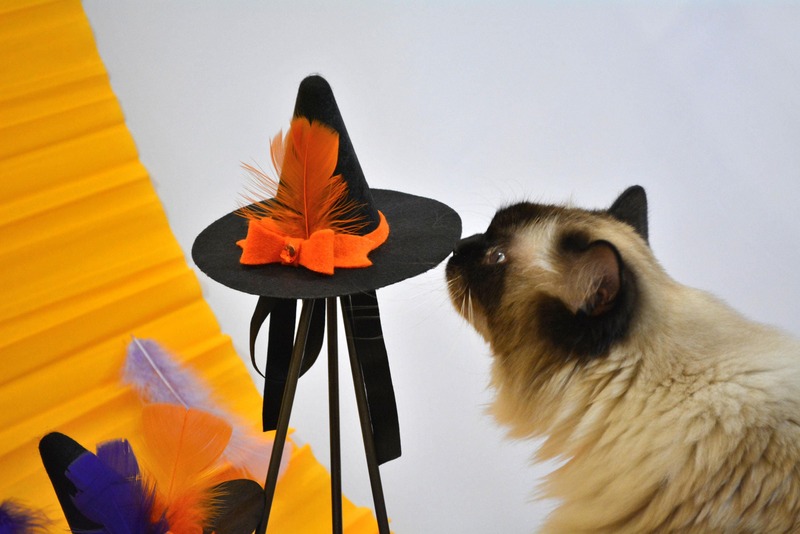 The hat is offered with orange / purple feathers, or without. 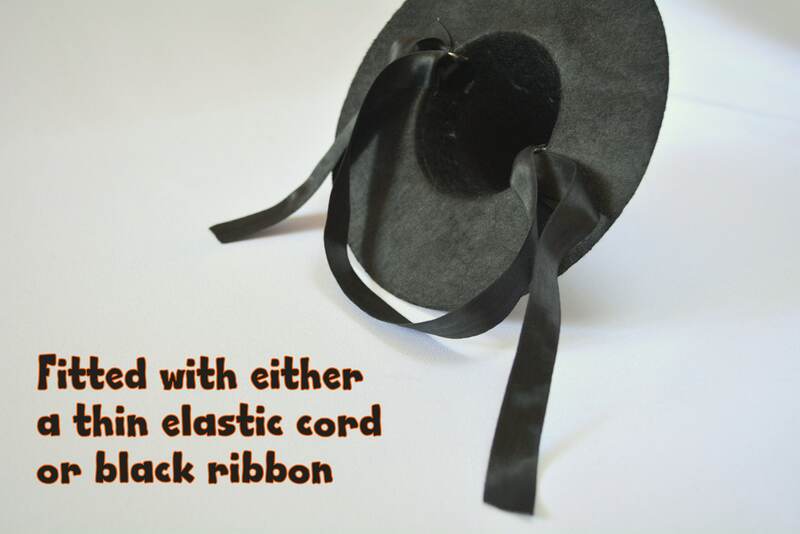 The hat is fitted with either an adjustable elastic strap or black ribbon - please select your option at the checkout. 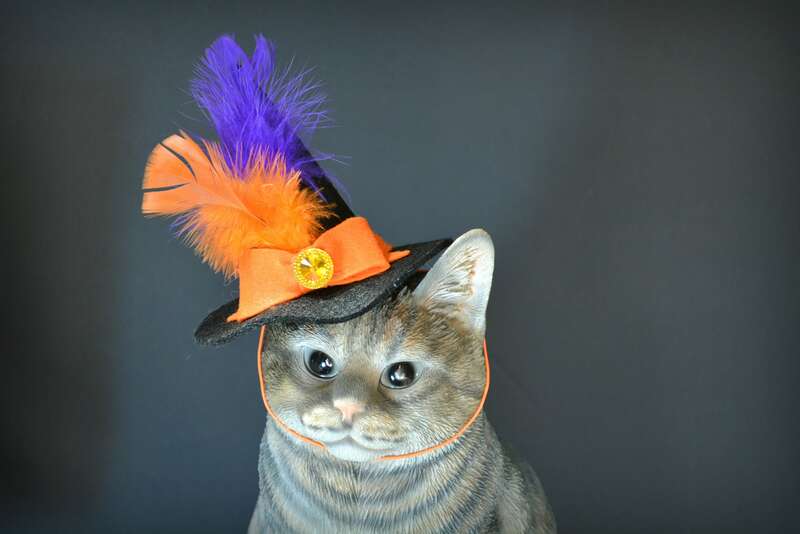 Do I have other top hats for pets? 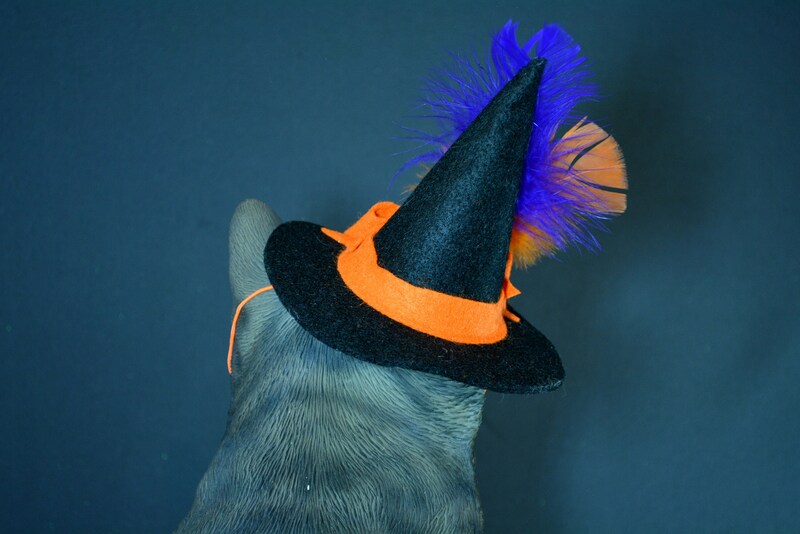 The answer is - Yes! 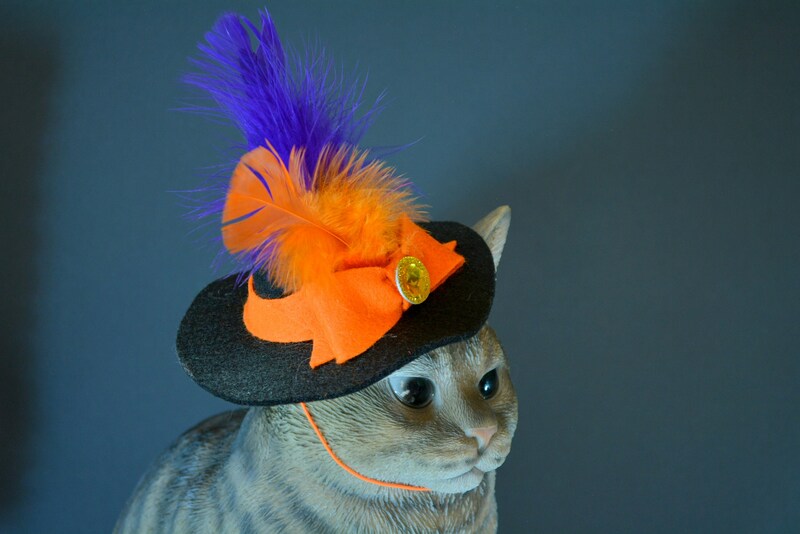 Please visit 'Hats for Cats' section for more hats for cats.